There’s a bit of displacement at first from both character, which I do give the author credit to delving into rather than just dismissing or glossing over it. Ada learns that the future world is a complicated place with a whole host of other problems, while Amber quickly realizes that life wasn’t an Anne of Green Gables fairytale. Both kids get thrown in orphanages of their respective era, attempting to figure out how to get back. Without spoiling, Amber attempts to set some things straight with her modern knowledge, often feeling the wrath of Mrs. Devine the boarding house headmistress. As a villain she was good, getting under my skin right away. Ada on the other hand seems to have made her own impression during her “switch” as well, mostly working through things as getting along with a black girl and getting a catch-up on world history. However, her main contribution isn’t noted till the end of the book. Amber is able to figure out that if she leaves a message in the past, people in the future can read it. Both her and Ada figure out that the well has to be “wished” on the same day. Picking July 4th, they manage to activate it and return to their respective places. When Amber gets back, it turns out that a mysterious box is left for Amber’s parents. It had specific instructions to be delivered to her dad’s place where he works. He has no recollection of this at all; when they open the box, they find out that Ada had collected series of stamps and some animation cels from Disney movies, which is worth quite a bit in their time. They also realize that the picture of the Child Center’s founder changed, showing an aged Ada on the portrait downstairs. The book was an interesting read, though slow-paced and less-actiony. It seems to be mainly aimed at girls, getting a Babysitters’ Club vibe from the story. It was more plot and depth, something that I stuck along with. If you’re in a hurry for a read, take a deep breath and slow down. You’ll enjoy it. I did; it had that 90’s feel to it like when I was growing up. 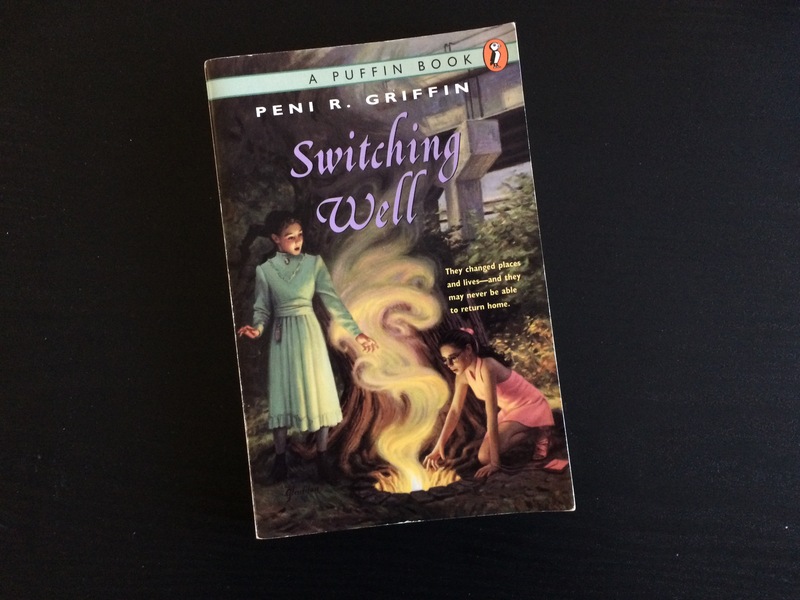 Per scoring for the author Peni R. Griffin, this gets a half-feedback. The author has an online presence with a behind the times website, but as with some 90’s books, they’re left as “abandoned”, printed in their era then forgotten. There is no eBook version of this title to hunt down, or for most of her books for that matter. She released Sullivan, That Summer in 2013, but it seemed to be a small-run print book. For whatever reason, Peni doesn’t have eBooks of her works readily available. However, judging from The Music Thief, an eBook version was released last year (in comparison, the book was printed in 2003). It’s most likely that Peni is in the process of getting eBooks of her print ones.